Jumbo sized punch balloons for hours of energy burning super punchy fun for all ages! 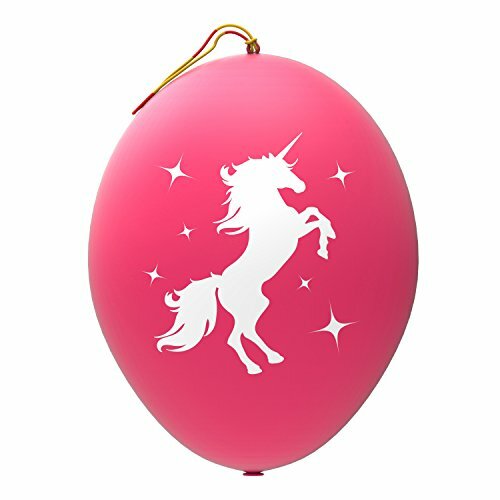 Our punch balls are almost double the size of similarly priced balloons at up to 18" when fully inflated! They are manufactured from eco friendly, natural latex rubber, are extra durable and resistant to popping. The attached rubber bands are also specially made for punch balloons and are super stretchy and durable for hours of entertainment! We are very confident in our product and offer a no-hassle guarantee. If you are unhappy with your purchase for any reason, we will refund your money or replace the product, no questions asked! Add these to your cart and buy your John & Judy Punch Balloons today! JUMBO SIZED: Extra large, oversized punch balls measuring up to 18" in diameter when fully inflated. DURABLE: Made from thick, durable, eco friendly latex that is resistant to popping and extra stretchy rubber bands for long lasting, extra punchy fun! GUARANTEE: We are very confident in our product and offer a 100% Satisfaction Guarantee. This means your purchase is protected by Amazon and backed by John & Judy. If you have any questions about this product by John & Judy, contact us by completing and submitting the form below. If you are looking for a specif part number, please include it with your message.